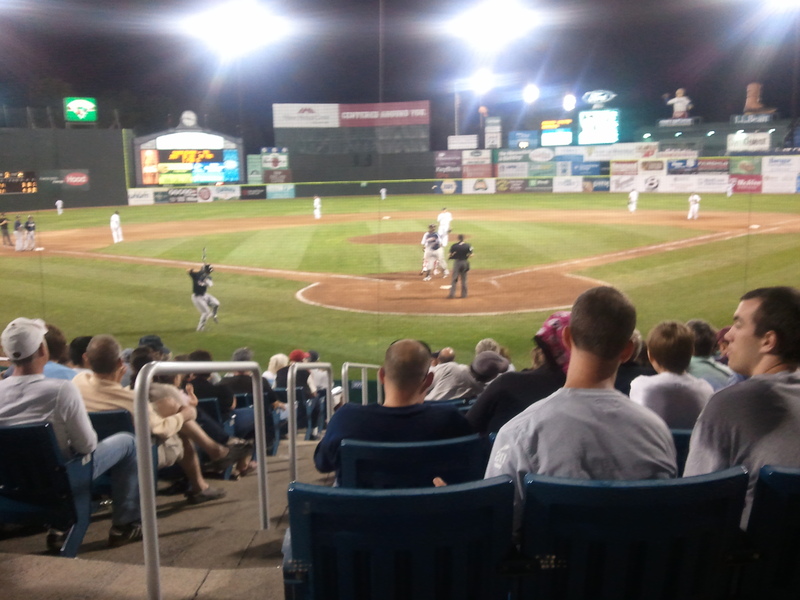 If you missed last night’s game then you missed a beautiful summer evening and a VERY exciting Sea Dogs win. Don’t worry, you have a chance to catch a game tonight when we take on the New Hampshire Fisher Cats at 7pm. Tonight is especially exciting because it is our first ever Flat Screen Friday. Thanks to David Munster’s TV Sales & Service over on Forest Avenue, we have two 32 inch Panasonic Flat Screen TVs to give away this evening. Fans may enter at the TD Insurance Information Desk. The winners will be drawn live during the game at the bottom of the fifth inning and the bottom of the seventh inning . Fans may only enter their name once, and they must be present to win! The winners need to pick up their TVs at David Munster’s 373 Forest Avenue Location. Every one there has been tremendous to work with and are so nice and knowledgeable. They can even service the things they sell which, if you’re as technically un-savvy as I am, is huge. Even if you are not one of the two people selected to win a television, you can still bring in your ticket from tonight’s game to receive 10% off your purchase at his store. Also, every Friday night from here on out will be Flat Screen Friday, so, get your tickets now! So, come out to the park, enjoy a beautiful summer evening and possibly win a beautiful brand-name flat screen!